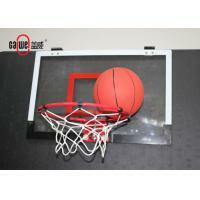 This Plastic Mini Basketball is Shatterproof Backbaord. 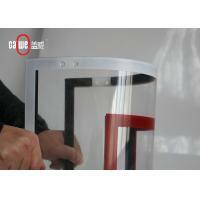 The backbaord size is 45 x 30cm which is made of plastic and brackets in order to minimize impact on your door. 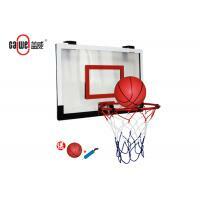 EASY SET UP FOR MOBILE PLAY. 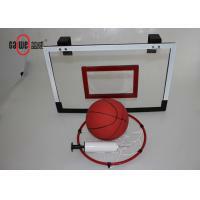 With included door mounts, and all tools necessary this indoor mini basketball hoop is easy to set up for mobile use. 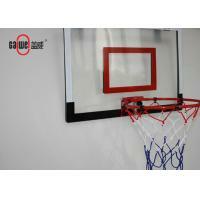 The heavy-duty, 8-loop net will last game after game, giving you the swish you want. 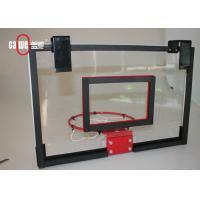 This mini indoor basketball hoop will give every player an authentic basketball experience. 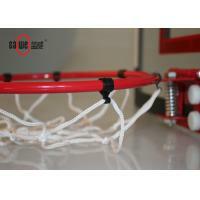 The professional-grade basketball hoop, and Mini rubber ball, which arrives deflated, will give you the game-like action that you need. 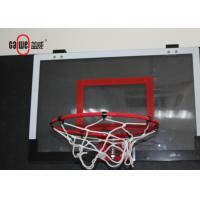 With a spring action “break-away” steel rim, you can practice your dunks anytime, anywhere. 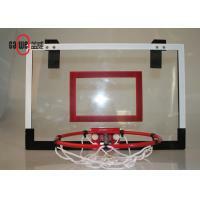 The spring will instantly bounce the rim back into place once you make the shot. 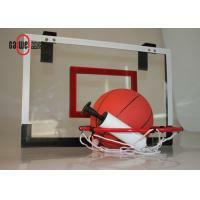 Rubber Basketball included (deflated), also includes balls, airpump and other accessoires for easy hoop assembly. Q: What’s our lead time for your prodcut? A: Usually if the first order and based on our MOQ, it will take a little bit long time for checking the details,such as the label, packaging and so on, it would be about 30-35days, if the repeated order, it would be about 25-30days. 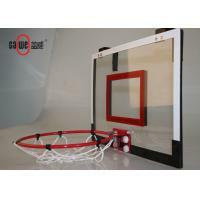 And it also depands on the qty you order. 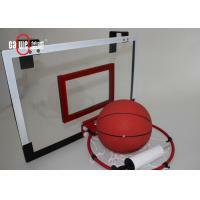 A: Yes, we are a manufacturer founded in 2001, with trade team for internation serice. A: Yeah, we have our own designers and enginners, also a mold department, so if you have any new items, we could make it for you as your request. Q: What should you have to offer, if you have your own desgin?